We all know the feeling: another utility bill arrives on the doorstep at exactly the wrong time. You can’t pay it – but then another one arrives. Utility debts are affecting an increasing proportion of the population, and with energy prices rising they look set to become an even more significant problem. 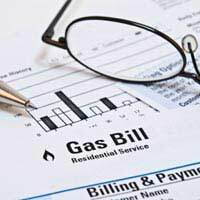 So how can you manage your utility bills? If you can’t pay your utility bills, it is vital that you don’t ignore the problem. All too frequently people stop opening the letters, hoping that the problem will go away – or that they will be able to deal with it at a later date. In reality, by ignoring it you will make the situation worse. You should contact your utility provider at the earliest possible opportunity. Explain the situation to them. They might well be able to offer a relaxed payment plan, enabling you to pay down the debt over a longer period of time. If you don’t contact them, they will soon get in touch with you. If you ignore them, they will eventually begin legal proceedings against you. This depends on which utilities you are behind with. Water companies cannot legally cut off your supply if you are in arrears. Of course, this doesn’t mean that you don’t need to pay the bills, as they will still begin legal action against you to get their money. But it does, at least, mean that you don’t have to worry about having no water supply. Fuel suppliers, meanwhile, have signed up to a code of practice that is ostensibly intended to protect consumers. The code says that they will not cut off supplies in cases where the consumer has agreed a payment plan with the provider. You must stick to the payment plan in order to guarantee that you keep your supply. In the longer term, you might want to consider switching utility suppliers. It is now often very easy to find better deals using one of the many price comparison websites available. There are, however, a few things to note. First of all, you should remember that you will not be able to switch suppliers if you have signed up for a ‘locked in’ contract. For example, some gas suppliers are currently offering long-term deals which guarantee to keep prices at a specific level, in return for a commitment that you will stay with them for a number of years. If you want to break one of these contracts you will probably be required to pay a financial penalty. Secondly, you should make sure that you fully understand the terms of any new agreement that you sign up to. Make sure that you are comparing like with like. If you begin with a mindset that recognises that utility companies are there to make money from you, rather than to help you, you will probably be safer. Some people have prepayment systems in place. These normally require the consumer to top up a card in order to pay for their gas or electricity. This is particularly common in rented accommodation. While prepayment can be simpler (and can help to make sure that you don’t run up debts that you can’t pay), it is vital to understand that these systems are often more expensive than regular billing. Make sure that you know exactly how much you are paying, and how this compares with non-prepayment tariffs. Are there benefits that can help? There is a small range of benefits that might help you pay your utility bills. The best known of these is the Winter Fuel Allowance. This is available to those born on or before 5 July 1950 (for the 2010-11 tax year). Access to the benefit is not means tested, but the amount you receive will vary depending on your circumstances. The maximum you can get is £300. If you are already in receipt of income-based JSA, Income Support, Employment and Support Allowance, or the Pension Credit, you might also be able to use the Fuel Direct system. Fuel Direct involves payments being made directly from your benefits to your utility provider. Although this doesn’t lower your bills, some people prefer it as it means that they no longer need to worry about being unable to pay when those bills arrive. Finally, if you are not currently in receipt of benefits but you are having trouble paying your utility bills, you should check to see whether or not you qualify for assistance. DirectGov offer a benefits calculator service to help you work out what you might be able to claim.